Use our convenient online request form to schedule your service directly with OutShine Professional Detailing. OutShine Professional Detailing will then contact you to confirm the appointment. Drop off your car and keys in front of the building when OutShine Professional Detailing is on site. Get your car serviced and drive off in your sparkling and clean vehicle! 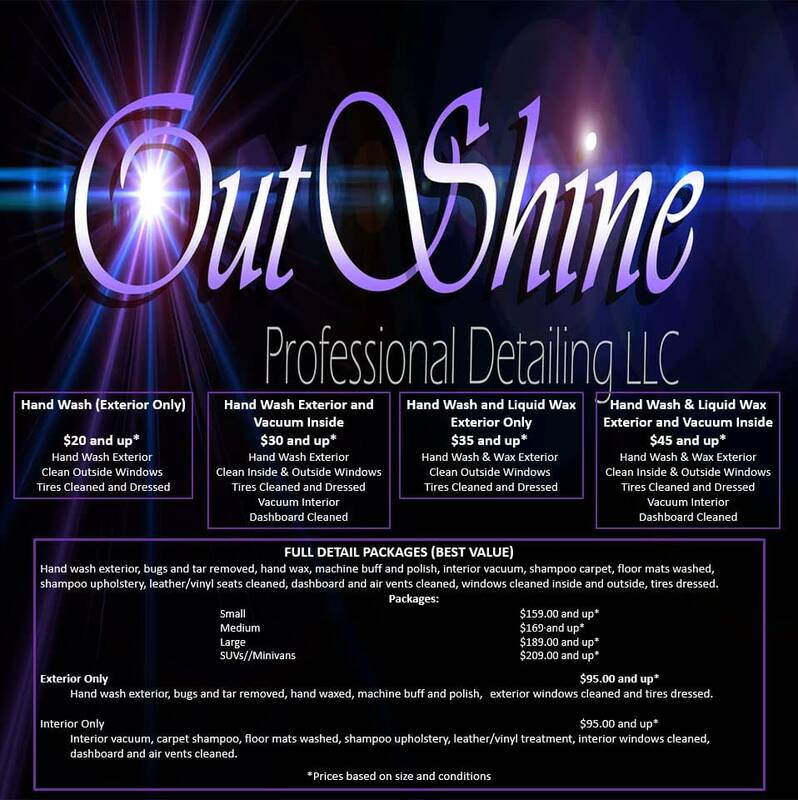 OutShine Professional Detailing accepts all major credit cards. Question? Please contact us. Complete auto details are available all year round.